I am enjoying the versatility of our new Flypaper metallics, I love the light metallic sheen that some of them give to photos depending on the blending mode and opacity of the texture layer, this adds a whole new dimension. 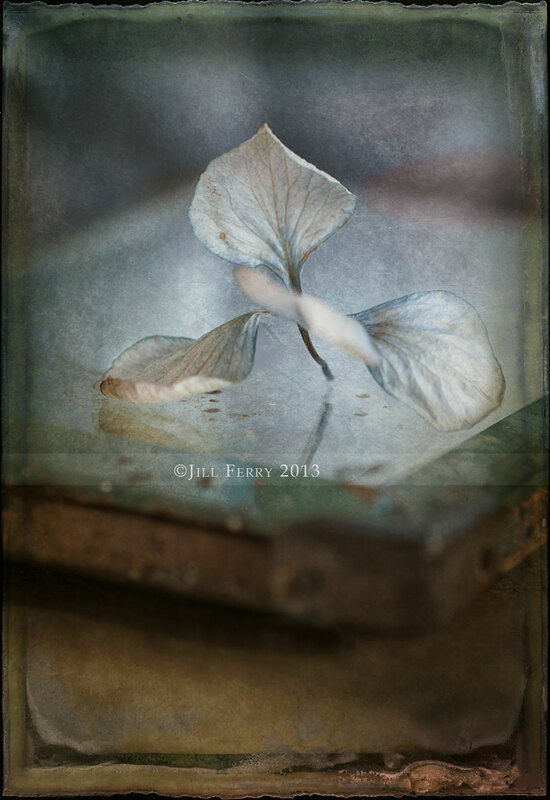 In this shot of a single hydrangea floret on an old mirror, I combined the metallics with one of our tintype edges, they work so well together! Now onto the processing, and unlike Paul who usually adjusts his photo before adding textures, I mostly texture then adjust the resulting image. Then it was onto Nik where I selectively used the detail extractor to bring out the details of the flower. Verdigris Scratch and Metallic Sky are from the Flypaper Metallic Pack, Tintype 30 is from the Tintype pack. 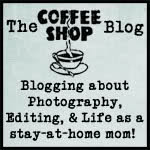 This entry was posted on Saturday, August 10th, 2013 at 12:38 am. It is filed under Blog and tagged with flower, Flypaper Metallic, grunge, hydrangea, Jill Ferry, Tintype Edges, vintage. You can follow any responses to this entry through the RSS 2.0 feed.